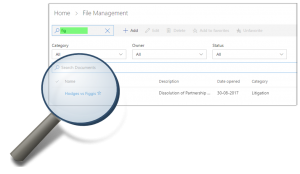 No more wasting time searching for needles in haystacks with Pinpoint Search. 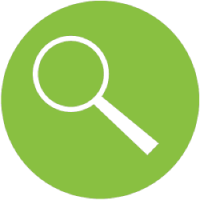 Built so you can find what you need, when you need it, Thread’s advanced search function lets you search for a word in any document, spreadsheet, email, calendar, or contact. Three keystrokes is all it takes. 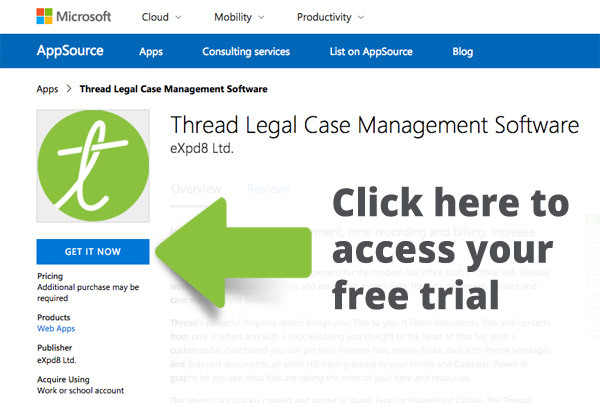 To get your free trial, simply click on the link below to go to the Thread Microsoft Appsource page, and once there, click on the blue ‘Get it now’ button. You will need an Office 365 account that contains Sharepoint, and will need to log in with your global admin email address.